I have had this book On Reserve for quite a while. It came out just under a year ago and caught my attention then. My weakness for behind-the-scenes information met my love for travel and I could not resist. Jacob Tomsky has worked in the hospitality business for over a decade. He spent some time in low-level management, but most of his years were logged at the front desk of luxury hotels. As anyone who has worked in any form of customer service, Tomsky has quite a few stories to tell. 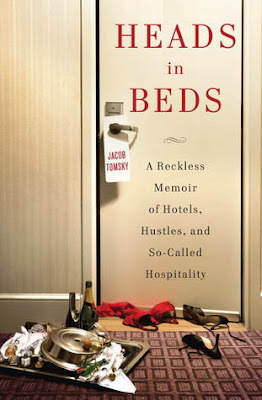 Much of the book is filled with these anecdotes about interactions between guests and hotel staff. The rest of the pages are filled with that behind-the-scenes info promised in the book's promotional materials. Tomsky definitely has some interesting insight into a world that is mostly hidden from the traveler's eyes. I curled up with a blanket and the 1984 adaptation of E.M. Forster's A Passage to India a few weeks back when Kevin was out of town. Clocking in at nearly three hours in length, I figured this was a choice best enjoyed alone. My sweet husband does not gravitate toward lengthy, old movies based on classic literature. I firmly believe that film adaptations should always be preceding by the viewer reading the original work. Rarely does a movie do a better job explaining the nuances of the plot than the written text. Typically, a book enhances the movie, not the other way around. The only exception I have previously experienced to that rule is Extremely Loud and Incredibly Close. You may recall that, after reading A Passage to India, I was not overly impressed with Forster's classic. Not bad, but not great. For only the second time in my life, I found that the movie version clarified the book for me and made me appreciate the story in a much deeper way. 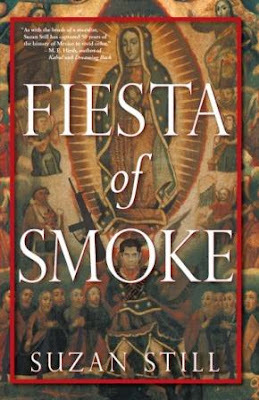 I cannot believe it took me 26 years to read this book. Didn't ever other person read this in high school? How did it slip by in my educational process? 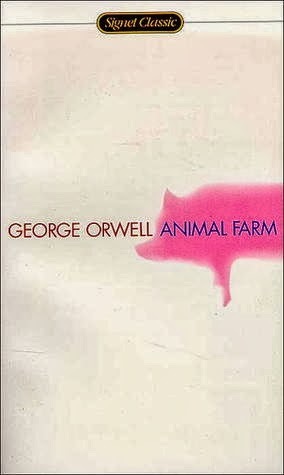 Thanks to Modern Library, I have finally read the Orwellian classic. Had I known it was this short, I would have picked it up on a slow weekend in college. Reaching only just over 100 pages, the little book is a satirical take on the Russian Revolution and the spread of communism in general. Considering that most of you have probably read it, I am not going to bother with much of a plot summary. This is all you are going to get: Animals take over a farm from the humans and attempt to run it on their own. Eventually, the pigs take the place of the humans and become indistinguishable from them. Orwell obviously was not a proponent for the spread of communism. Animal Farm exemplifies the satirical genre perfectly. Through the actions of the animals, he shows the progression of communism into socialism and how power corrupts. I can hardly believe it is already the end of October. Winter comes quickly here in the Midwest and the air is chily with anticipation. Perfect weather for curling up and reading. Winter, it has always seemed to me, is the perfect time to pick up the heavier tomes from your bookshelf and plow through them. They often carry a weight not only expressed in their girth but also on their pages. Books like these are best enjoyed by a fireplace with a blanket and a glass of something delicious. Thankfully for you, I picked up one such book this summer. Now, I can fully recommend it to you for the winter months ahead. I know; so thoughtful of me. Actually, all thanks should go to TLC Book Tours. They recruited me for this blog tour, just as they did when I reviewed Visiting Tom. You all remember what a delightful surprised Michael Perry's book turned out to be. I was definitely game for another selection from TLC. Whenever Kevin and I head up to Michigan to visit his family, I try to pick out an audio book for us. We have a few standard podcasts that we intersperse with the book, but it helps to have something longer than an hour to entertain us for the 10-hour round trip. A key element of choosing a book is finding one to which my dear husband will actually want to listen. As I've mentioned before, he needs there to be plenty of action to keep him engaged. Unfortunately for me, few of the books I have On Reserve or that Modern Library classified as top 100 fall into this category in his mind. The Call of the Wild has been our only real successful compromise in this area. I'm not picky on content. You know me - I'll read about anything. I just need to be able to stand listening to the reader's voice for hours on end. Seriously - how do some of these people get hired to read aloud? Usually, I completely forget about getting a book until the afternoon we leave or the night before. At that point, I frantically search our library's digital offerings for something that meets all necessary qualifications. I usually do end up with something acceptable and off we head with some author's sweat and blood pouring from our mediocre car stereo. With this method, we've experienced the thrills of ambulance chasing, cult killings, and Vatican bomb threats. 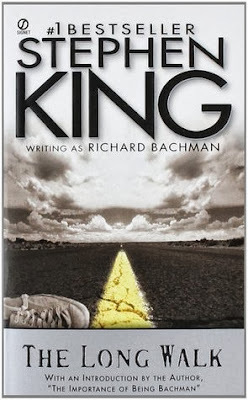 Now, we've added Stephen King and his gory imagination to our list. Today, I am so excited to introduce a new type of post: Movie Mondays! I recognize that few people have the time or desire to read the amount that I do, especially when it comes to the 100 Best Novels list. Luckily for you, Hollywood loves adapting a classic and I love a good movie almost as much as a good book. You can expect two movie reviews per month, appearing on the second and fourth Mondays. These posts will stay brief. I am mainly interested in comparing the film with the novel - this is a blog about books, after all! I recognize that there are multiple adaptations of many books. I plan to take them all one at a time. 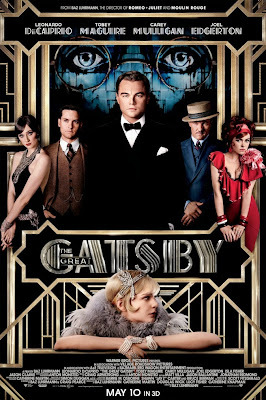 I thought a good place to start would be the big hit from this summer, Baz Luhrmann's adaptation of The Great Gatsby. You did not have to be very attuned to pop culture to notice the buzz around this movie. When it came out at the beginning of May, news of it was all over the place. 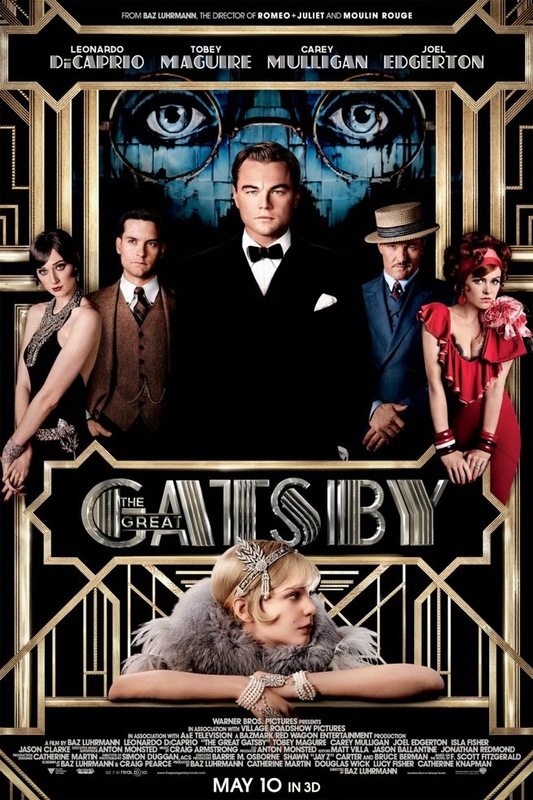 The film stars several big names, including Leonardo DiCaprio as Gatsby himself. Toby McGuire played Nick and Carey Mulligan starred as Daisy. The cast definitely contributed to the hype around the film. Each summer, along with the super hero blockbusters hitting the theaters, there seems to be a book or two dominating the shelves. As with any part of pop culture, your own circle of influence dictates what you hear about. Last summer, all I heard about was Gillian Flynn's Gone Girl. Rightful so, it seems, as the adaptation will hit theaters starring some pretty big names. 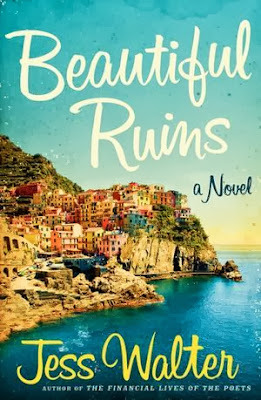 This summer, this book kept popping up all over: Beautiful Ruins by Jess Walter. I have had my eye on this book since the first or second time it came across my radar this summer. The cover art is gorgeous and, I'll admit, sometimes I judge a book by its cover. Not the ones I've read, of course, but the ones I'm thinking about reading. I'm awful. That's like cardinal rule number one of reading and I break it all the time. I mean, it takes more than a good cover for me to read something. I have other criteria. It's just that a bad cover can turn me off before I even get to the blurb on the back or another reader's review. To say that life has been a bit stressful lately is an understatement. Consequently, I am struggling to get through the heavy tomes of the 100 Best Novels list. Right now, in my life, I need reading to be an escape and require little thought. It could not be a better time for a return to Prince Edward Island. 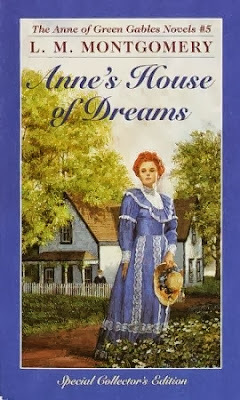 Last fall, in my effort to read a book a week, I indulged in the first three books of the series: Anne of Green Gables, Anne of Avonlea, and Anne of the Island. This trio captures Anne's teenage years. Here, we meet the imaginative, passionate character that we all treasure in her rawest form. This winter, I read Anne of Windy Poplars. As I mentioned then, L.M. Montgomery uses the fourth book of the series to transition Anne to her adult years. The same girl is still there, but she is becoming a woman. Anne's House of Dreams completes the transition. The book opens as Anne and Gilbert Blythe are married. Their three year engagement is over. They leave Avonlea to settle in Four Winds, where Gilbert will start his career as a doctor. In Four Winds, they settle into their "house of dreams." Its little garden and sweet history charm Anne instantly. It proves to be the perfect place for them to begin life together. I'm back on the book tour train. Today, I'm taking a look at The Angry Woman Suite by Lee Fullbright. I am participating in this tour through Novel Publicity. Check out the official tour page to see what other bloggers thought and to read an excerpt of the book. Full disclosure: they did send me a free copy of the book. Never fear: I will only ever give my honest opinion. Option 1: Use the Rafflecopter at the end of this post to enter. One gift card and the autographed book will be given out through the Rafflecopter. Option 2: Leave a comment on this post. One random commenter during this tour will win the first gift card. Visit more blogs for more chances to win. "'Every family has skeletons, but the Grayson family has more than its share of secrets–and of portraits. Mystery portraits that incite and obscure. Portraits to die for. An unsolved celebrity double murder in Pennsylvania. A girl looking for autonomy. A young man in search of an identity. An older man’s quest for justice. A plot that pulls and twists. 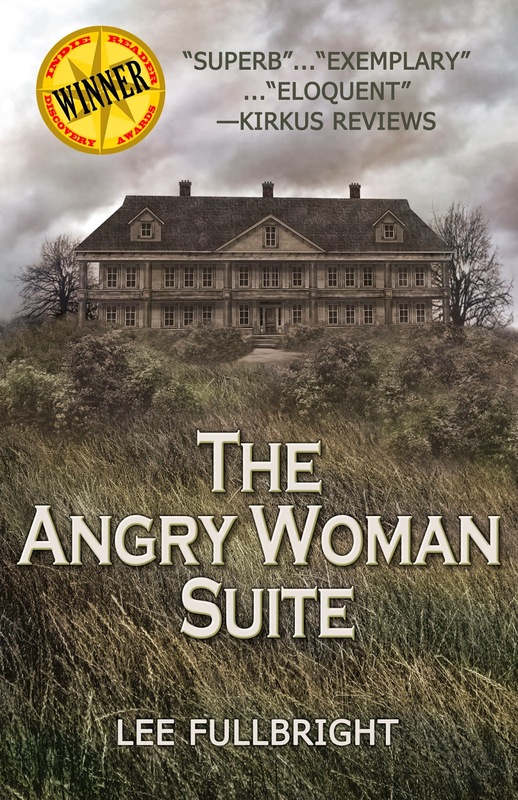 Get The Angry Woman Suite through Amazon." At first glance, perhaps nothing special; enough to make me investigate a little further and not immediately dismiss the offer, as I do with many. 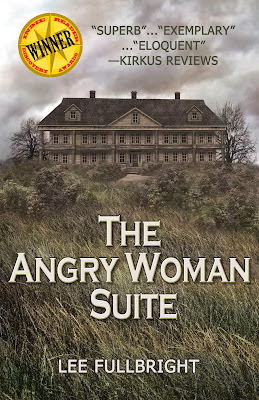 It took only a few clicks for me to discover that The Angry Woman Suite has been busy getting some attention from critics and winning several awards (more info in the author bio below).